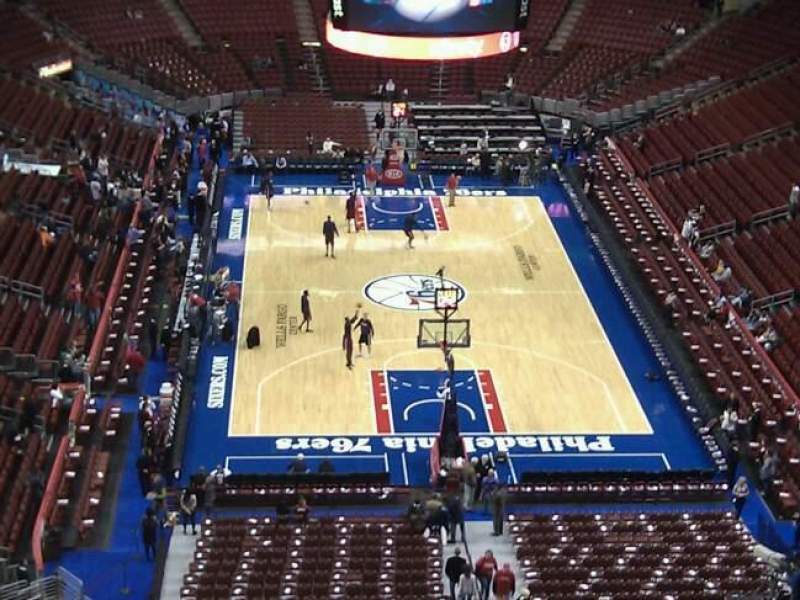 I know the video below is pretty blurry, but it's safe to say that this proves to us that the classic 'Spectrum' script on the center court of the 76ers' 1994/95 floor did not feature that at all. Please check 1:25, 1:08, and 1:40. So basically, the Spectrum text has a similar font to the font that has the text 'CoreStates', which is presumably Helvetica bold. When will you add these to your flickr page, kodrinsky? 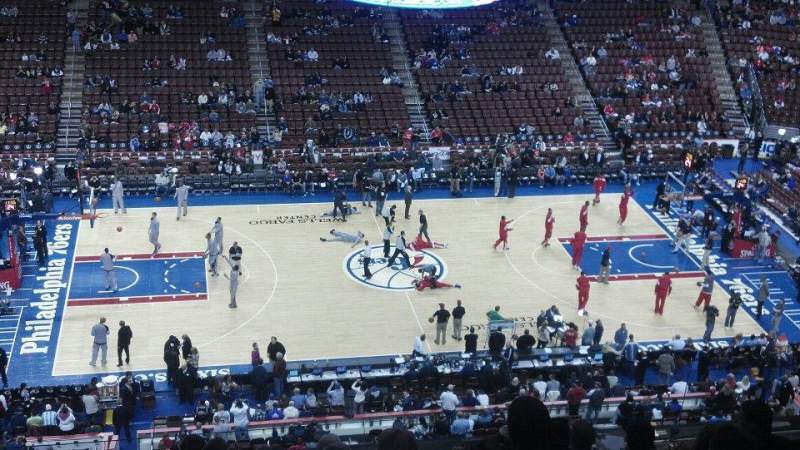 This is my favorite 76ers court. It just is, I love it. It's also really left field of them and a textbook example of BFBS. I'm assuming that once fans saw that court for the season they had to have known something was gonna change, the writing was on the wall... or hardwood, if you will. The red NBA marks on the outer part of the key is different, as seen through the image below. Instead of a rectangular box, it was replaced by two vertical lines to accommodate with the current league rules. 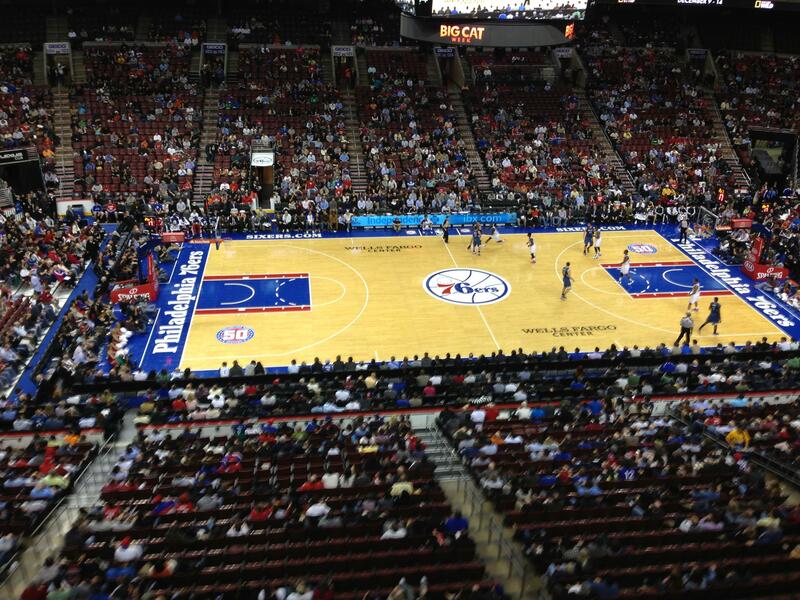 Also, your 76ers logo might be wrong. 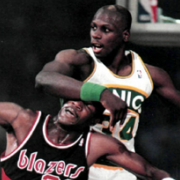 Lastly, I think you might have not stumbled upon this, but this is how the center court in 1994/95 looked like. Credits to you and the last video I posted (Eddie Jones dukint on Bradley), by the way. That's the best I could do. If you really are aware of this, then I'll already apologize in advance given the workload you have at the very moment. 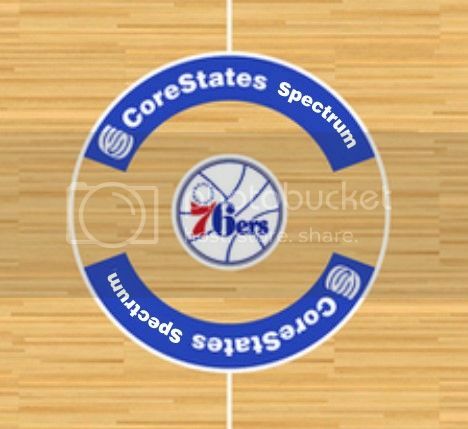 Okay, the 1994/95 center court, which has the curvy 'CoreStates Spectrum' text on both ends are of similar size. The 'Spectrum' text should have a font size similar to the 'CoreStates' text. Sorry again. 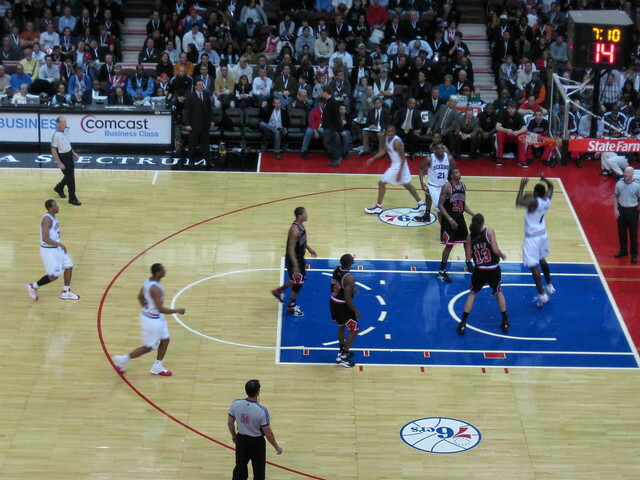 Also, since 2009, the white baseline marks have evolved in different ways. Everything's fine as far as I am concerned, except for the 1994/95 ones. That has to be the hardest one to research on. 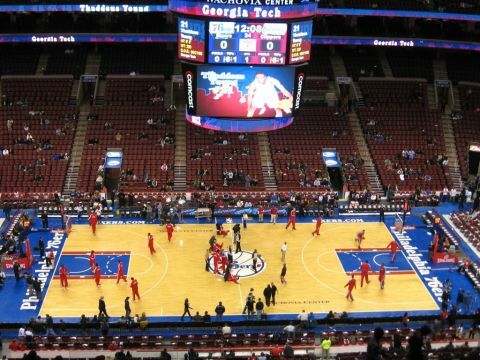 Can't wait for the Heat courts! What happened to the 1981-83 Market Square Arena courts for the Pacers? It will be posted later.